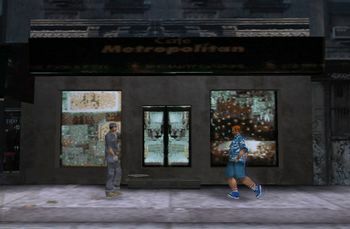 Cafe Metropolitan is a chain of cafés with buidings in the Red Light District of Portland, and in the Aspatria, Fort Staunton and Belleville Park districts of Staunton Island, Liberty City, which appears in Grand Theft Auto III. It is inaccessible to the player. This page was last modified on 11 March 2017, at 14:37.